Note: This is a slightly revised version of the talk given by Aaron Jaffe. A version of the following was initially given as a paper at the Left Forum at Pace University in 2013. It is here reproduced with minor emendations. I am grateful to J. Pickle for insightful feedback on an earlier version. 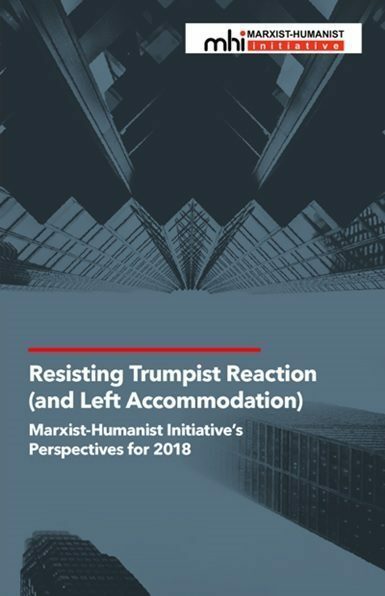 Some defenses of Marx’s humanism refute Althusser and his ilk by highlighting the consistency of Marx’s humanism as the basis for normative judgment throughout his work. I think doing so is right, but in one sense it doesn’t take Althusser seriously enough. What I have in mind is Althusser’s thesis of scientific rupture–which describes Marx’s ostensible break with his ideologically beholden youth. Even if there is significant consistency regarding the anthropological basis for criticism–and to be clear, I think there is such consistency–there may have been a shift from idealist, ideological, or immature grounds for such a position to more “scientific” ones. So what I want to do here is first show that the standards Althusser posits for determining when a position is scientific are, in fact, already present in the young Marx. In this way I’m going to provisionally accept Althusser’s standard for what constitutes a “science” (although there are certainly ample grounds for objection here as well). The talk will first show how even an Althusserian, in this regard, ought to be a Marxist-humanist. The second, and what I think is the more valuable contribution is an articulation of what this consistent humanism-as-a-basis-for-criticism looks like against some earlier interpretations that are, to my mind, problematical and flawed. Althusser recommends, or ostensibly finds in the mature Marx, three principles for scientifically interpreting and evaluating ideological expressions. First, ideologies are to be taken as wholes. That is, one ought not distill and interpret their individual elements, but rather diagnose their total and totally flawed position. By Althusser’s lights, there is a single–Feuerbachian– problematic in the young Marx. Since the earlier writings are ideological, a problematic–and indeed no more than one problematic–is necessary and sufficient for framing their interpretation. Second, the meaning of the ideology is to be deciphered not by its own lights, but by way of the then-current theoretical field and then-extent social phenomena. Thus, the problematic characteristic of a work, in this case Marx’s early “Feuerbachian” problematic, is to be rendered intelligible by way of its equally problematic set of theoretical possibilities and second, the backwards social conditions responsible for their generation. For this reason, there can be no truth, no possibly legitimate seed of theoretical development in positions beholden to ideological problematics. They are total ideologies such that no element is worth following or developing, except for perhaps historical curiosity. The flip-side of this second scientific principle is that science itself, the surpassing of the ideological problematic, must be by way of radical rupture. If it were not by way of a radical, complete rupture, science would be impure, stained by the vestiges of the ideology from which it sprang. Third, and finally, the genesis of the ideology, to the extent that an intellectual history of ideology might be pedagogically interesting, ought to proceed by demonstrating the author’s personal debts to their contemporary situation. Obviously, thesis two and three are deeply related and partially rest on thesis one: Marx’s purported personal absorption of a Feuerbachian lens. At any rate, these “scientific” principles, provided by Marx’s later works, are the tools needed to interpret scientifically the earlier works as ideology. But to anyone familiar with the early Marx, this should sound more than a bit strange. The first principle, that an ideology is to be analyzed as a totality, is already explicit in Marx’s 1843 response to Bruno Bauer in Zur Juddenfrage, who, incidentally, is likely a far greater influence on the young Marx than Feuerbach. Marx takes Bauer to task for conceiving liberation in a one-sided, political manner. The entire critique is aimed at the false framing of a problematic, and Marx shows how Bauer’s approach is mired in, and cannot see beyond the confines of, the Christian nature of Kaiser Wilhelm’s political institutions. The second principle, that ideology be interpreted not via its articulated claims, but by way of the existing theoretical field and social structures, is likewise made in relation to Bauer. This is clear in Zur Judenfrage, but also abundantly apparent in Marx’s Einleitung zur Kritik der Hegelschen Rechtsphilosophie, where he consistently demonstrates the link between backward social and economic orders and the state of German thought. As an aside, this kind of critique is actually present, in differing forms, in Bauer’s and Feuerbach’s criticism of religion too. At any rate, third and finally, the principle that the “motor” of the ideology be located not internal to the theory advanced, but by way of its promulgator’s relation to his or her present, is equally advanced by Marx in both texts: in the Judenfrage when Bauer is called out, and in his Einleitung when Hegel’s highest accomplishments are shown to be beholden to a one-sided and backward reality. Thus, the standards that allow, promote, and were in fact operative in Marx’s early, humanist critique of ideology were already operating, by Althusser’s standards, “scientifically” by late 1843. I hope to have convinced Althusserians that Marx’s humanism and his “science” are not, in fact, incommensurate. I would, if pushed, likely find a shift although not a rupture in 1843, where Marx begins to individuate his form of social analysis, but this was all to legitimate my primary purpose, which again, is an exploration of the humanist position itself. Here I want to suggest that Marx’s humanism is traditional in that it ascribes a normative element to the desire for freedom which, should it be acquired, would represent an improved condition of humanity. But it is humanist in a markedly non-traditional sense in that the position offered is only structural. It holds that the species-being or species-life of an individual can be alienated, but it leaves undetermined what the social or communal nature of an individual in a non-alienated society ought to look like. For this reason, Marx’s notion of “species,” which I take to be the core of his theoretical/anthropological critique, can encompass the life possible in mid-nineteenth century Germany just as well as it can that which is possible here and now. The point is that a philosophical anthropology grounded in an orientation towards free conscious activity is formal or structural in that it recognizes various possibilities stemming from whatever are then extant material conditions and concerns. In any period, it holds the possibilities for further elaboration as essential and in this way, by historicizing essence, provides a trans-historical basis for criticism. Species-life, as well as its multiple possibilities for actualization is, in this way, the anthropological root of Marx’s materialist critique of Bauer, who also deployed the term. The anthropology Marx offers requires a materialist viewpoint precisely on account of its formality. The manner in which the formal account is filled in will highlight the differences between actually existing conditions, possibilities, and conceptions of freedom for subjects immersed in social relations with the formal features of species-being, that is, its open ended orientation towards transformed social relations and a wider set of future possibilities. In this way the formal anthropology not only requires a materialist perspective, but generates a critical or normative dimension insofar as the content taken up can be seen as limiting the further articulation of the species. It is important to note that the critical dimension does not require any final realization of the species’ essence. In fact, it suggests that satisfaction simply is the further free and conscious open-ended articulation of the species’ capacities. The human, for Marx, is always developing new social conditions, and new possibilities for thinking and acting within them. Alienation from humanity, or alienation from what he calls the species-essence, obtains when existing social forces prevent the human from fully, and consciously pursuing its further articulation. I know this is a brief and a bare sketch, but I also don’t think this is terribly unique: Raya Dunayevskaya, and Gajo Petrovic, among others, have suggested similar interpretations. The problem, as I see it, and perhaps this is unsurprising, is that some of the biggest proponents of Marx’s humanism haven’t seen things this way. So I now want to look at the analyses of alienation from the human developed by Meszaros, Israel, and Ollman. Each is excellent in his own way, and we owe them a debt of gratitude for bringing elements of Marx’s thought to light, but in an effort at improved precision I’ll highlight what I think are problematic features of their accounts. First Meszaros, as he most clearly has Althusser in his sights. Meszaros has shown how Marx was influenced by Engels’ early “outline of a critique of political economy” in which free, rational, conscious production was stressed, but he ignores this insight and chooses to develop alienation in other terms. Now when Meszaros does take up consciousness in its relation to alienation he ties it on one hand to the inhuman aims of natural science when its goals are determined by alienated social needs, and on the other, an abstractness , speculative, and universal philosophizing that strays too far from actual man. While there is usually something unconsciousness about natural science working in such a way and something troubling about such philosophizing, a conscious relation to nature understood as a relation determined by real social needs sets the bar too low. Meszaros’ position is rather thin here because it ignores or does away with the freedom that nearly always characterizes conscious activity in Marx’s anthropological reflection. We should be able to claim that under capitalism as well as some past and possibly future “actual” socialisms, that the human relationship to nature, even when directed by social needs, could still be alienated. When Meszaros does quote the line in the ’44 manuscripts that makes man a species being because he has consciousness of his universality and therefore also freedom, Meszaros leaves out that last part in all subsequent analysis, stressing universality, but ignoring the freedom it was to entail. The historical analysis, as well as the emphasis on man’s natural mediation with nature, and the importance of social (not isolated, individual) being is quite fine, but a better reading of species-being and alienation from it has to emphasize Marx’s stress on freedom. Free production, free industry, or free curtailment of productive forces for social needs would be non-alienating, but constructing a theory short of that risks a critical position that lacks the ability to generate negative appraisals of ostensibly socialist positions. Israel’s tracing of historical influence is quite fine, but here I think his division of Marx’s theory of alienation into a rubric which has on one side the philosophical-anthropological, and on the other the sociological-psychological is an ineffective difference. Any philosophical-anthropology is, as I’ve suggested, an inherently sociological scaffolding to be filled in by accounts of productive, social activity and what its constrains or make possible. I don’ t know, then, what it would mean to have a purely philosophical-anthropological theory of alienation. This would risk hypostatizing an essence beyond real processes. More significantly, however, Israel’s accusation that Marx succumbed to a conservative romanticism is misapplied because Marx’s ideal function of labor is far from a return to pre-industrialized society. Being able to hunt in the morning and philosophize in the evening is predicated on the retention and further development of advanced productive capacities. Overcoming the division of labor in terms of universal production is better understood as the free human orientation towards many-sided possibilities, not an actual or enforced re-unification of what came to be divisions. The largest issue here is that Israel reads Marx’s species-being as an ideal-type, which is approached by individuals as history unfolds. Yet following the sixth thesis on Feuerbach, the species-being is better rendered as the ensemble of existing social relations, such that it is a historically developing essence from which one can be more or less alienated. The species essence develops along with the forces of production, but it so happens that the human can be at a greater or lesser remove from this essence given varying relations of production. This historicization of “essence” is a better understanding of what Marx means by the term, something that I think Marcuse was the first to point to. Finally, and most significantly, I think, there is B. Ollman’s work. I want to stress how important Ollman’s work is for me personally, it is partly responsible for my long-standing interest in this stuff, and the debt is not in any way diminished by the criticisms I’m about to develop. Here, with Ollman, Marx’s anthropology is a union of natural and species-unique capacities, and the biggest problem with this starting point is the a-historical description of man’s natural being. It is not the case that Marx anywhere described the human as having a fixed set of natural capacities, even sensible ones. The hunger satisfied by raw meat is qualitatively different from the hunger satisfied by eating with knife and fork. Further, there is no such thing as a reduction of man to hunger as such; again, hunger and I would think, all other “natural” capacities are not only influenced, but determined by social relations. The hunger of a slum dweller today is different than the hunger of one on the plains of Africa many years ago. Abstraction to hunger as such can only leave a flat, a-historical anthropology. 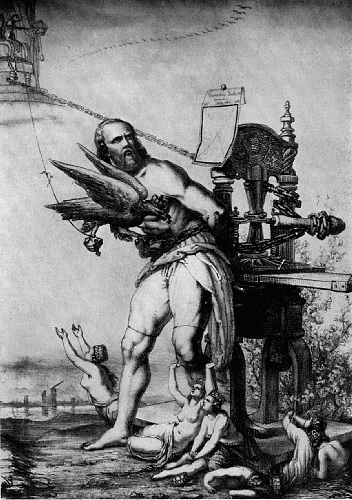 The idea for Ollman that there is such a thing as natural man stems from Marx’s description of what man is reduced to when alienated from his species-being, that his species-capacities are degraded to being used to support a diminished life, rather than being oriented to further development. This reduction of man to merely animal status is not the reduction to something “natural”, it is rather, always a debasement of the natural history of development. This is to say that by arguing for the “species” capacities as opposed to “natural” sensibilities I think Ollman is working with a more static philosophical anthropology than Marx uses to generate the critical force in his concept of alienation. If the species-essence of man is supposed to be the human’s advantage over other animals, and alienation from the species-essence obtains when human higher possibilities are reduced to serving individual, sensible beings, then alienation is not a reduction to something natural, and not, as is sometimes claimed, a reduction from specificity to abstraction. Rather, it is the limiting of a horizon of possibilities that could be actualized but towards which we cannot be oriented due to that constraining set of social relations we call capital. Further, it is very important to see alienated life as itself historically determined and this, the ascription of “natural” cannot do. Likewise, thinking alienation from the human as a reduction or abstraction is not very helpful, for there are various and uneven centers of development such that even when alienation is universal, it is never uniform. Today’s alienation in rural Guatemala is qualitatively different than alienation in Istanbul. Again, these objections may make me seem completely at odds with Ollman, but I cannot stress enough that I am not. In particular, I believe the emphasis he places on human potentials is otherwise excellent and spot-on. In conclusion, I hope to have shown that an initially plausible argument to bypass Marx’s humanism is actually a reason to take it seriously. And once it is taken seriously, I highlighted elements of Meszaros’, Israel’s, and Ollman’s take on Marx’s humanism as foils. This was to show how Marxist-humanism can articulate the social need for a free orientation towards a historically developing horizon of capacities, and how such a position can think alienation as a critical category in a diversity of concrete situations.